Part 2 of 4. In the May issue of AMC Outdoors, I highlight the different types of backcountry shelters that weigh less than 2 pounds. This four-part blog posting highlights the specific brands and styles available in each category. In this post, I round up floorless tents and other single-wall shelters. (Check out part 1, ultralight tarps, here.) Note that included weights are from the manufacturers; they typically include the shelter and any poles (other than trekking poles) but do not include guy lines or stakes. Offers the Shangri-La line of floorless tents, which includes the A-frame style Shangri-La 1 (pictured; 16 ounces, $200), Shangri-La 2 (21 ounces, $250), and just-over-two-pounds pyramid-style Shangri-La 3 (36 ounces, $275). Go Lite also sells a series of "Nests" for each of these (pictured inside Shangri-La 1; 15-28 ounces; $75-$125), a separate element that fits inside and provides a bathtub-style floor and full mesh protection from bugs. 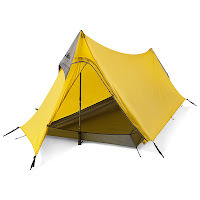 Utah-based gear maker sells the Beta Light, a two-trekking pole, floorless 2-person shelter (19 ounces; $180). I have to highlight their Mega Light (pictured) as well, even though it weighs over 2 pounds—it's one of my favorite shelters. 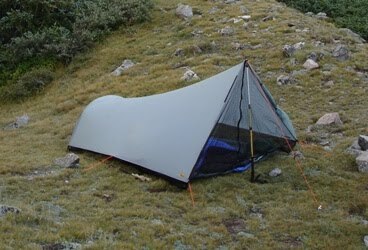 For years, Black Diamond sold the classic Megamid, a wonderfully spacious (up to 4 people) and ultra-simple four-sided floorless pyramid tent. With the advent of siliconized nylon, they upgraded to this lighter weight fabric to create the Mega Light (2 pounds, 5 ounces; $260). It comes with a carbon fiber center pole or you can use the included "Pole Link Converter" to join two trekking poles together as the support and get the weight below 2 pounds. 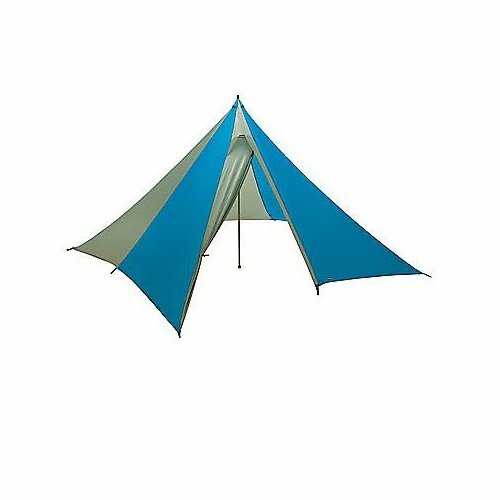 This company only makes tents, including their ultralight two-person Rajd (pictured; 2 pounds, 3 ounces; $365), a tarp-tent hybrid that features a full floor and bug protection. California-based company specializing in a wide range of ultralight shelters designed around trekking poles for pole support. Offerings include the ultralight one-person Sublite (18.5 ounces, $179) and Contrail (24.5 ounces, $199). This specialty gear maker focuses on ultralight equipment for fastpacking. 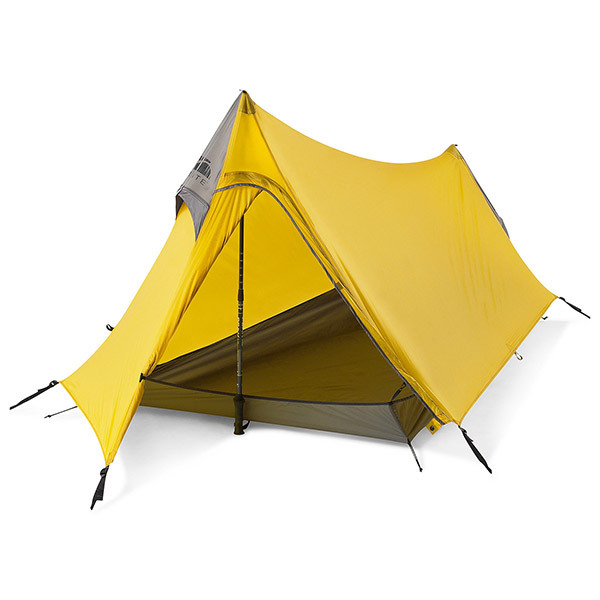 The 1-2 person Squall Classic is one of the classic designs (24.6 ounces, $325) and a collaboration with the founder of Tarptent (above). Though originally a floorless design, the 2010 model includes a bathtub floor and screen door, making it fully bug proof as well. Hard to top for the protection versus weight. Integral DesignsI featured the SilDome (26 ounces, $200) as my pick in the May/June "Gear Watch" column of AMC Outdoors. I love the no-trekking-pole-required design and head room. Other (European) OptionsThe British company Terra Nova Equipment makes a line of superlight tents. The German company Vaude offers their Power Lizard UL.